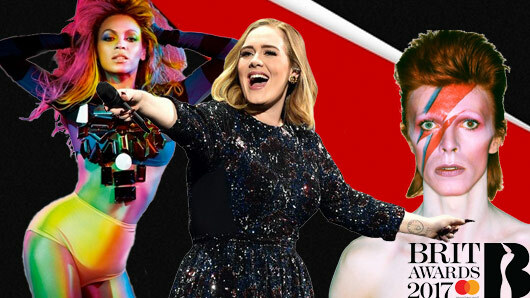 The full list of winners has been announced after the BRIT Awards 2017 aired yesterday evening. It was the BRIT Awards last night and Emma Willis and Dermot O’Leary certainly hosted an evening packed full of entertainment. There were amazing performances, tearful acceptance speeches and the usual live TV fails (Katy Perry’s backing dancers: we’re looking at you). Little Mix had a hugely successful night. The X Factor girl group opened the show with their hit track “Shout Out to My Ex” before picking up a trophy for British Single of the Year. He continued: “I think it would be the same thing that most of my dad’s fans have taken on in the last 50 years – that he’s always been there supporting people who think they are a little bit weird, or a little bit strange, or a little bit different, and he’s always been there for them. Bowie was also posthumously named Best British Male Solo Artist, over Craig David, Skepta, Kano and Michael Kiwanuka.